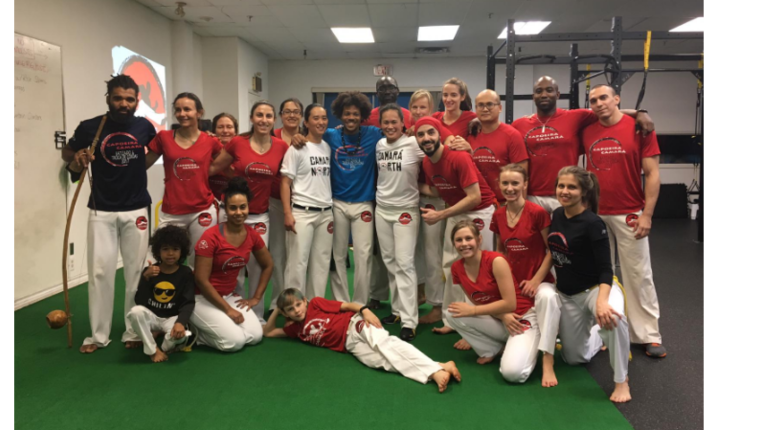 Classes in the Brazilian martial art of Capoeira. Capoeira incorporates martial arts with music and acrobatics. All levels of fitness are welcome, and previous experience in martial arts is not required. Register before class to save time. Come in athletic wear. Although capoeira is best trained bare foot, if you decide to wear shoes, please choose a pair of indoor shoes with good lateral stability.